A holiday house in East Hungary costs on average GBP 447 in the cheap travel period and GBP 807 in the peak season per week. These details are of course in relation to the house and not per person as well as includes the obligatory additional charges. Bordering Romania, East Hungary is a little known but historic region which offers many holiday rental opportunities in both its small villages and its lively cities. The largest natural grassland in Europe, East Hungary is home to the scimitar horned Hungarian grey cattle and the csikos horseman who tend them. The most attractive cities in East Hungary in which to to book a holiday apartment or a holiday house are Debrecen, Szeged, Szolnok and Nyíregyháza. 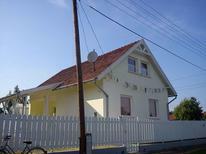 Szeged, known as the city of sunshine, offers plenty of holiday rental opportunities near the Tisza River. Visit the city's churches and museums as well as the palaces of Reök and Gróf and be sure to sample the famous fish soup, Halászlé. 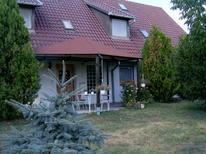 Debrecen, the second largest city in Hungary, is a lively place to rent a holiday apartment or a holiday house. Among the city's attractions are the Déri Museum and the Nagytemplom Church. There are also many sculptures and monuments to be found throughout Debrecen. 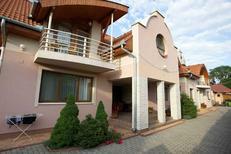 Despite the fact that Szolnok is a relatively small city holiday rentals are very popular. Be sure to visit the Aviation Museum, the Art Colony and the Szolnok Calvinist Church. Another popular destination among travellers is Nyíregyháza. 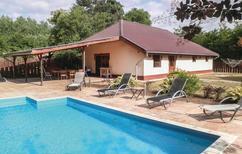 Here, you will always find a holiday home or holiday rental that will suit your needs and budget. Amongst the city's many attractions visitors are drawn to the Open Air Museum of Sóstó, a recreation of traditional rural life, as well as the AquaPark and zoo, which is especially popular with families. Away from the cities the Körös Maros National Park is also popular. 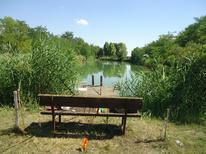 Travellers who want to visit the East Hungary can do so at any time of the year. Although winters can have temperatures as low as −7°C, there is still plenty to see and do. During the summer, June and August are the most popular months in which to rent a holiday house and to explore the unique traditions and culture of this relatively unknown corner of Europe.